Michael Marchand, chief marketing officer from the Washington Health Benefit Exchange, contributed to this story. If you hike, hunt or fish, your Washington playground just got cooler. 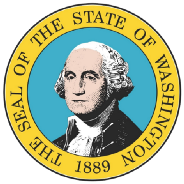 Washington State Department of Health employees Neetha Mony and Douglas Wagoner contributed to this story.